With the CSA T20 Challenge Points Table slowly but steadily taking shape, two teams currently in the mix to make it to the playoffs, Dolphins and Warriors face each other in a crucial game a Kingsmead, Durban. Both teams have won one match each and look for their second win of the season, which should propel them to at least third place. While the Warriors have a very youthful side in their possession, the Dolphins would bank on the experienced players such as Morne van Wyk brings into the mix. 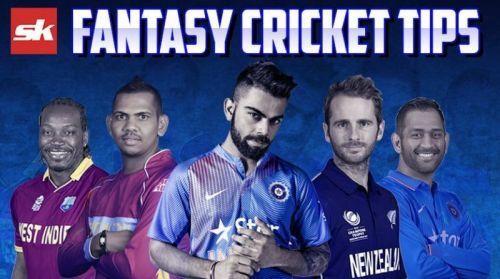 With a mouth-watering clash in store on Wednesday, here are a few tips to help you pick your Dream11 team. After a tough loss to the Cobras in their previous outing, Dolphins will be eager to overcome the disappointment with the same set of players. The likes of Keshav Maharaj and Robbie Frylinck have been very good for the Dolphins while the experience of Morne van Wyk and Khaya Zondo is bound to come into play alongside the exuberance of Marques Ackerman. Possible XI: van Wyk(WK), Erwee, Chetty, Zondo(C), Ackerman, Makhanya, Frylinck, Maharaj, Zuma, Prenalen and Dupavillon. Inspite of a stunning counter-attacking from Marco Marais, Warriors had to suffice with half the points due to a washout and should field the same set of players on Wednesday. Gihahn Cloete and JJ Smuts are the key players for the Warriors while the trio of Birch, Sipalma and Magala are going to be tough to put away for the Dolphins. Possible XI: Cloete, Breetzke, Smuts(C), Qeshile (WK), Marais, Ngoepe, Nyaku, Birch, Magala, Sipalma and de Klerk. A good wicket to bat on, Kingsmead provides the bowlers with some help also with Keshav Maharaj utilizing it to it's fullest with a spell of 1/16 in his quota of overs. 150 should be a par score here with the quality of bowling either side possesses. Wicket-keeper: Inspite of Sinethemba Qeshile's recent resurgence as one of South Africa's best talents, Morne van Wyk is the preferred choice with his audacity and experience coming into play in the first six overs. Batsmen: Gihahn Cloete and Sarel Erwee are must have players at the top of the order while the big-hitting Marco Marais also warranties a place in the side after his stunning show against the Lions. One of Khaya Zondo or Cody Chetty should round off the batting department. Allrounders: Jon Jon Smuts is due for a big performance and should be ideally backed to potentially lead the Warriors to a crucial win while Sibonelo Makhanya is also a viable option to have in the side as an allrounder. Bowlers: Lutho Sipalma and Robbie Frylinck are the two of the best death bowlers in the competition and should pick a wicket or two in Durban while the in-form, Keshav Maharaj also is a great option with his economical bowling. One of Andrew Birch and Sisanda Magala should complement the aforementioned trio and complete a formidable fantasy team. Captain: Jon Jon Smuts is one of the most consistent players in the domestic circuit and is yet to fire this year. Expect a big innings from the Warriors veteran while the likes of Morne van Wyk and Gihahn Cloete are also in the running for captaincy.